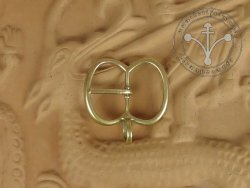 St-12 Buckle and strapend set for 13th cent. 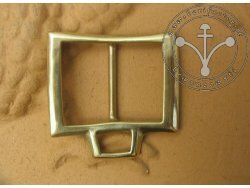 Size : A-1,6 cm; C-1,8 cm; total lenght - 15 cm. 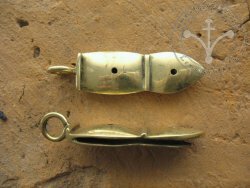 Size: A- 7 cm; B-6,5 cm. 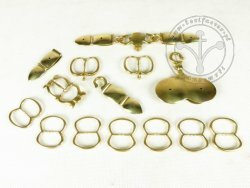 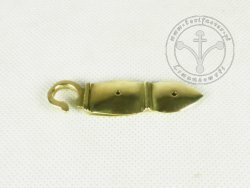 A-40 Sword/rapier hanger set - 16th-17th cent. 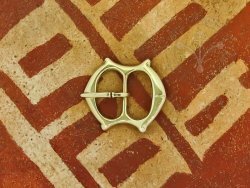 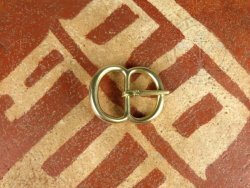 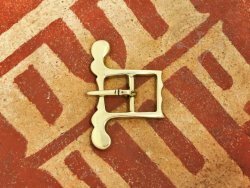 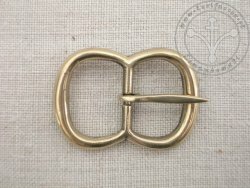 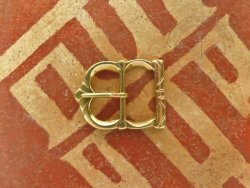 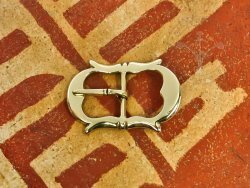 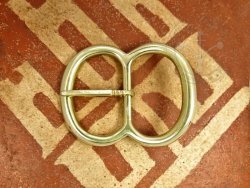 A buckle for belts, armour or garters - "double"
Source: Germany ca. 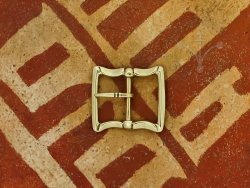 1620 r., Wallace Collection. 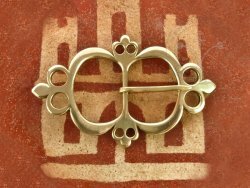 Source: Archeological find from Dordrecht in Netherlands (purse with buckle find). 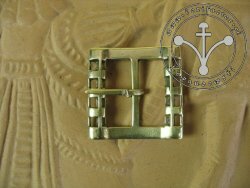 Dated: 1630-1690 Sizes: A- 6 cm, C-6,6 cm, D-4,5 cm Sources: Znaleziska z terenu Anglii. 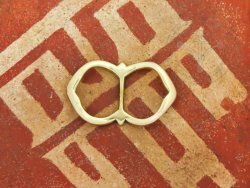 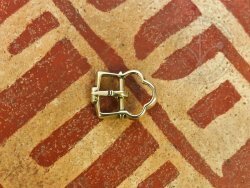 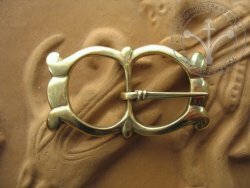 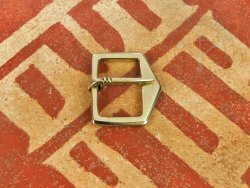 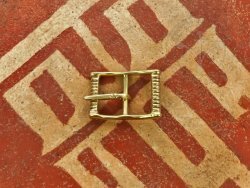 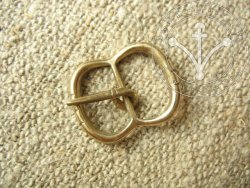 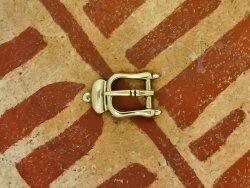 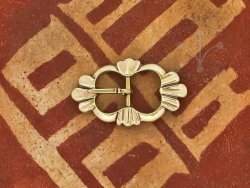 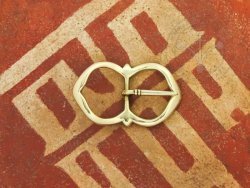 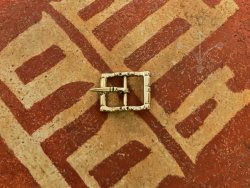 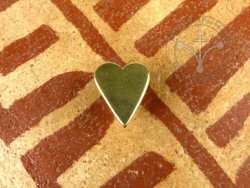 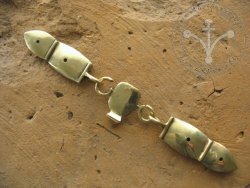 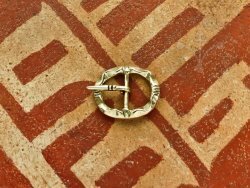 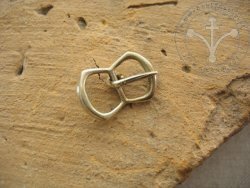 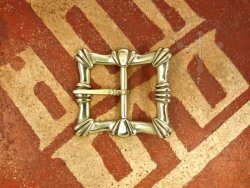 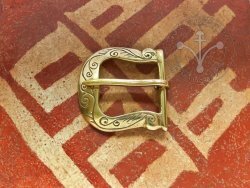 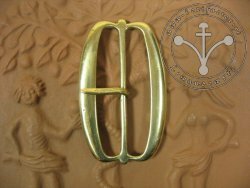 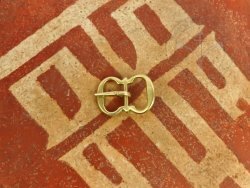 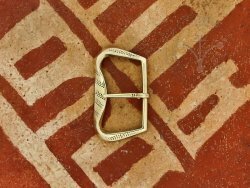 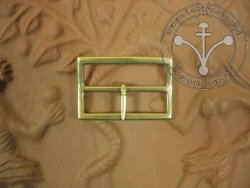 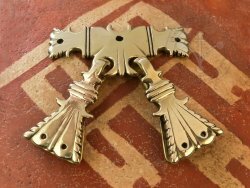 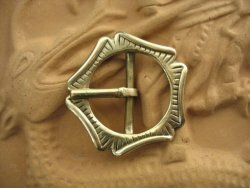 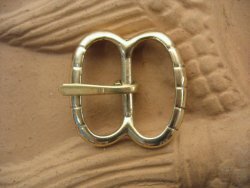 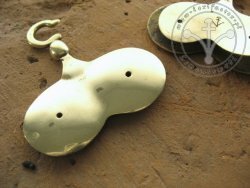 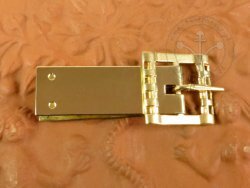 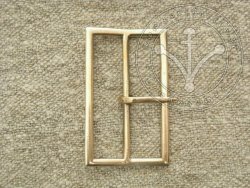 Double buckle - for knight's or military girdle or a woman's belt. 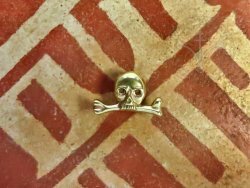 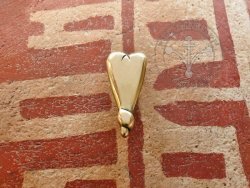 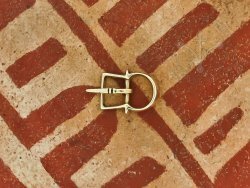 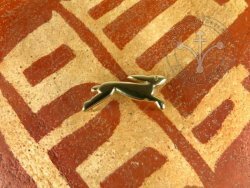 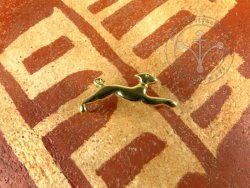 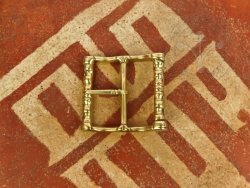 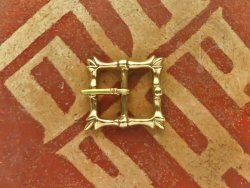 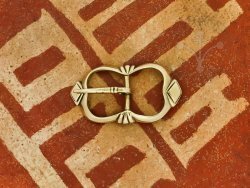 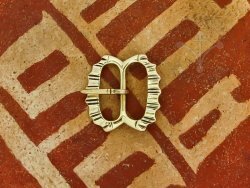 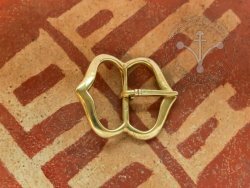 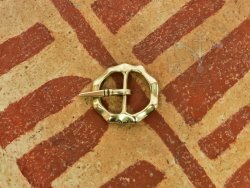 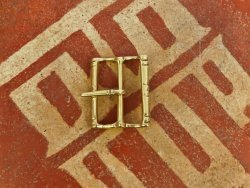 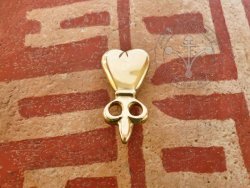 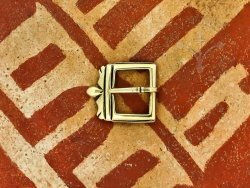 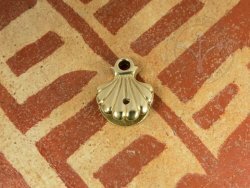 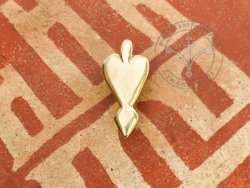 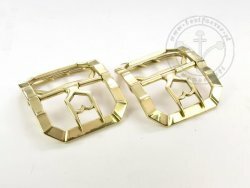 BS-01 Shoe buckles - 18th cent. 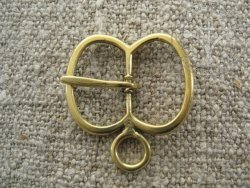 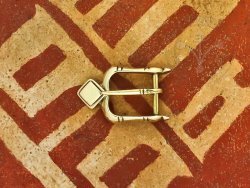 Shoe buckles - 18th cent. 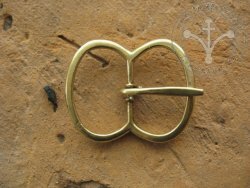 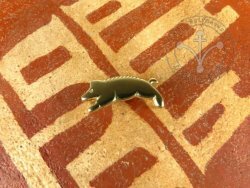 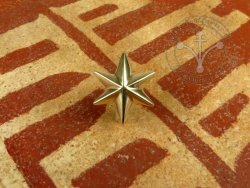 Source: Archeological findings from England. 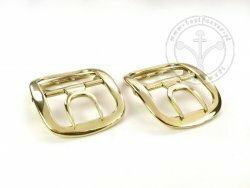 BS-02 Shoe buckles - 18th cent.